From Gift Card Impression, A (13" x 10" x 5") Gift Bagswith Small Gift Card, Matching Envelope, and Silver Metallic Tissue Paper. 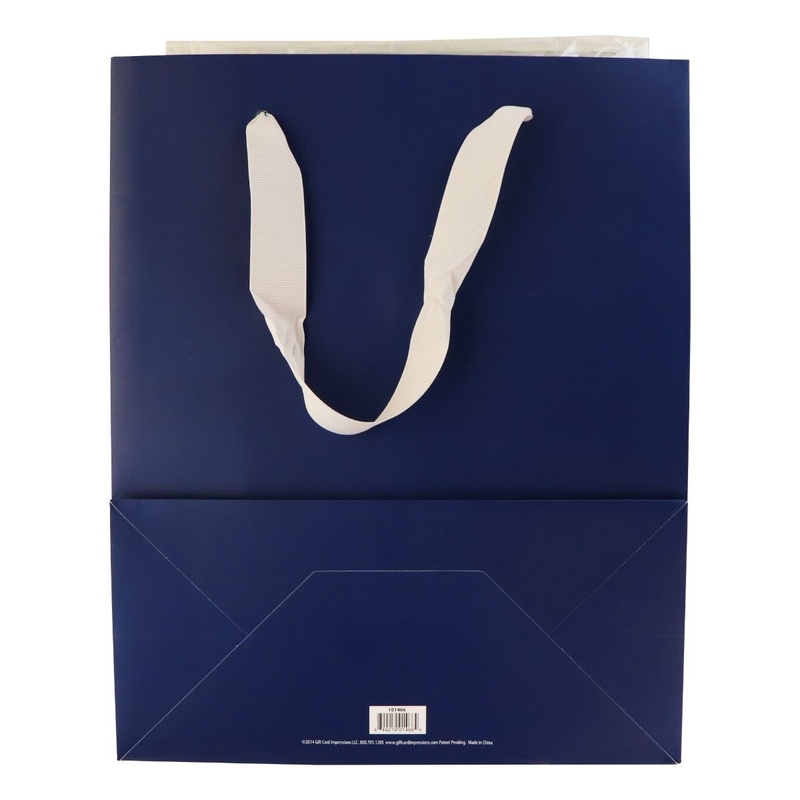 Flat Dark Blue color design with Silver Ribbon Handles. 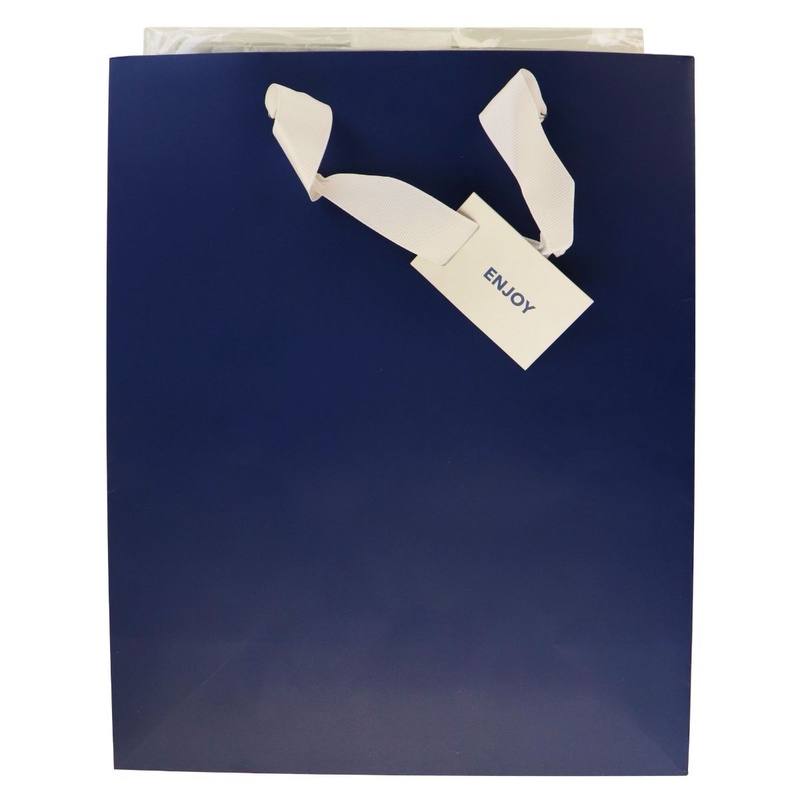 - Dark Blue bag color with Metallic Silver Tissue Paper, and Silver Ribbon Handles. - Includes small "Enjoy" card that fits inside its matching envelope, that goes inside another larger blue envelope. - May show retailer branding on Cards/Envelopes. Includes: 1 Individual (13" x 10" x 5") Bag each with Gift Card and Matching Envelope Set along with Metallic Silver Tissue Paper.